Balsamic Vinaigrette - Quick, Easy, and SO Delicious! This Balsamic Vinaigrette is a versatile dressing that goes with just about any salad. It’s easy to make, and keeps well in the fridge. You can’t beat a good balsamic dressing. It’s such a workhorse recipe that can bring together any salad. 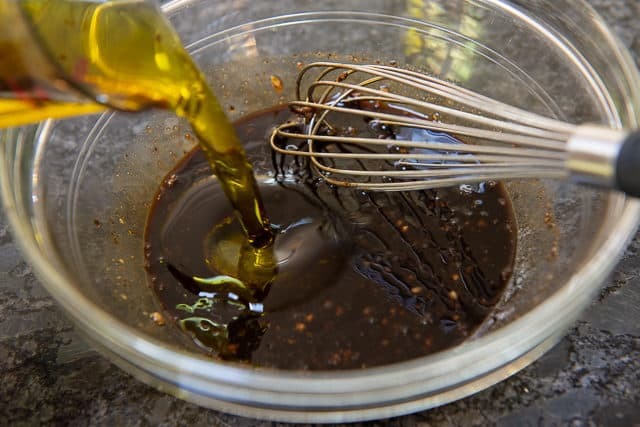 While I absolutely love my Lemon Vinaigrette, the nice thing about Balsamic salad dressing it’s a bit sweeter, and also has a thicker texture to it. 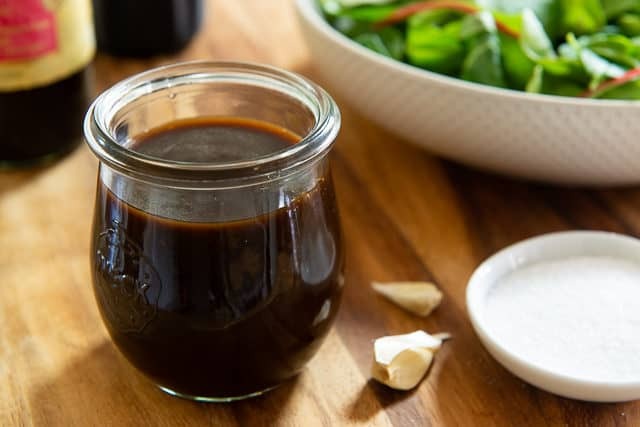 Balsamic also has stronger flavor affinities to certain salad ingredients such as brussels sprouts or grilled peaches, and even though the lemon vinaigrette would go with those ingredients too, the sweetness of balsamic works a little better. Another bonus is that balsamic dressing is a little bit easier to make. No lemons to juice, just purchase a quality vinegar for mixing. Because balsamic vinegars vary so much in thickness and sweetness, it matters which one you buy. I typically like using Aged Balsamic vinegar, which has a less harsh, sweeter flavor and thicker texture, but you can use any type you’d like. 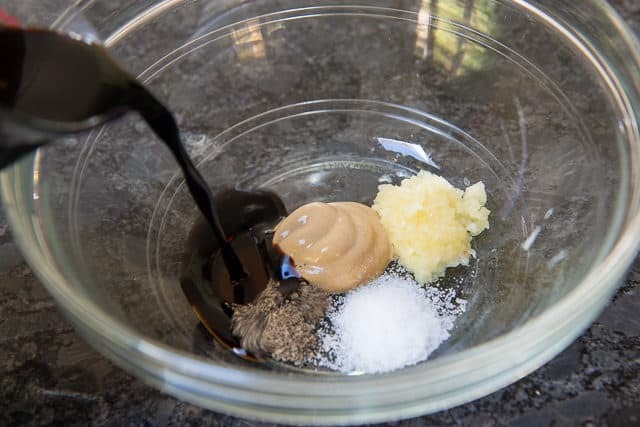 Younger balsamic tends to be more acidic, so if you want more kick, that’s a great option too. Store the balsamic vinegar in a jar or container in the fridge. It will easily keep for up to 2 weeks. Basil Vinaigrette, Cilantro Lime Dressing, and Carrot Ginger Dressing are some of my other favorite homemade dressings. 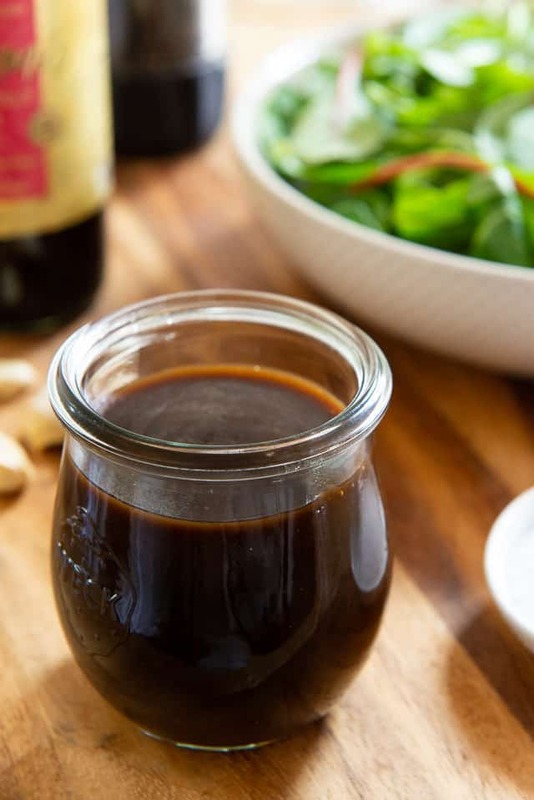 This Balsamic Vinaigrette is vegan, gluten free, Whole30, paleo, low carb, and dairy free. How long does Balsamic Vinaigrette last? You can store this in the fridge for 2 weeks. It may last a little longer than that, but because the garlic is fresh, you want to make sure it doesn’t go bad. 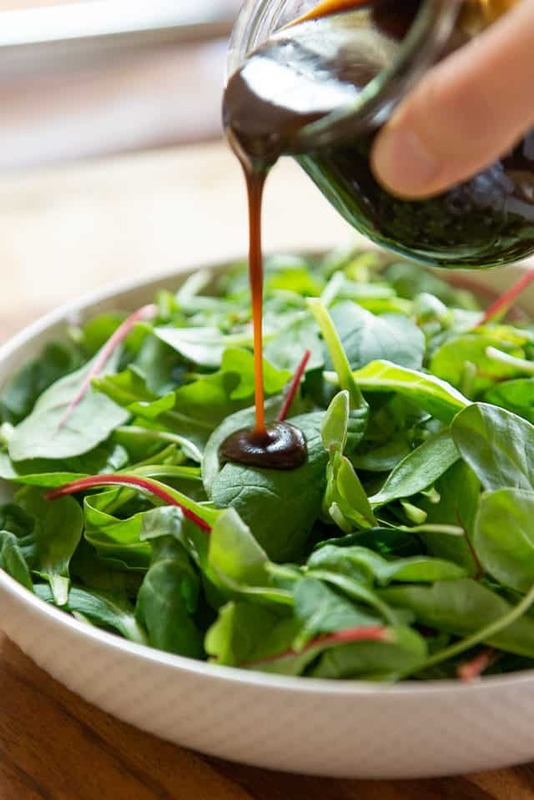 This Balsamic Vinaigrette is a versatile dressing that goes well with nearly any salad. It's quick and easy too! 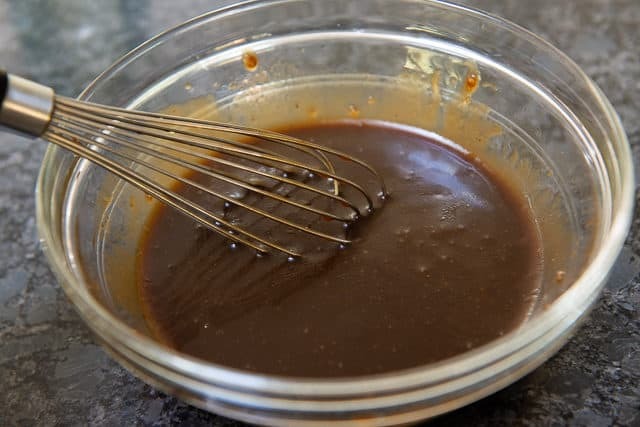 In a medium bowl, whisk to combine the balsamic vinegar, Dijon mustard, garlic, salt, and pepper. While whisking, gradually add the extra virgin olive oil over about 30 seconds, until the dressing is emulsified and relatively thick. Serve and enjoy, and store any leftovers in the fridge for up to two weeks. 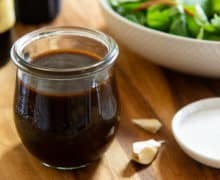 This recipe will give you the most basic balsamic vinaigrette, but often I enjoy adding some type of fresh herb. 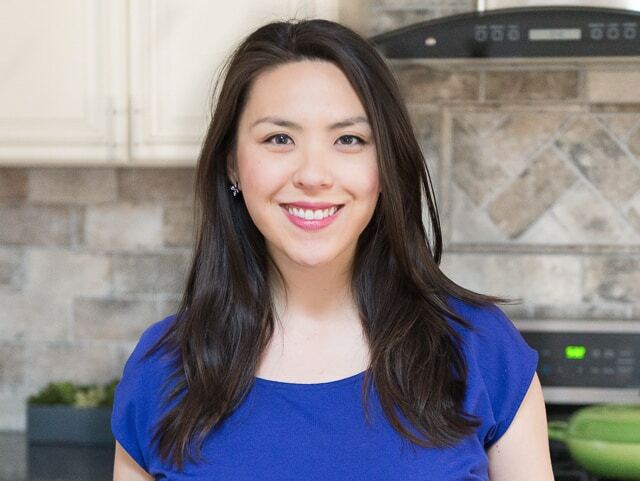 My favorite is chopped rosemary (start with 1 tbsp), but thyme, basil, and sage are also compatible herbs. I’ve made this three times since you posted and it’s so great to have int he fridge. Great with any salad!